This screening is followed by a Q&A with film director Robbie Fraser and Michael Palin, who appears in the film. The legend of Hamish MacInnes began early. At 16 he climbed the Matterhorn. At 17 he built his first motor car – from scratch. 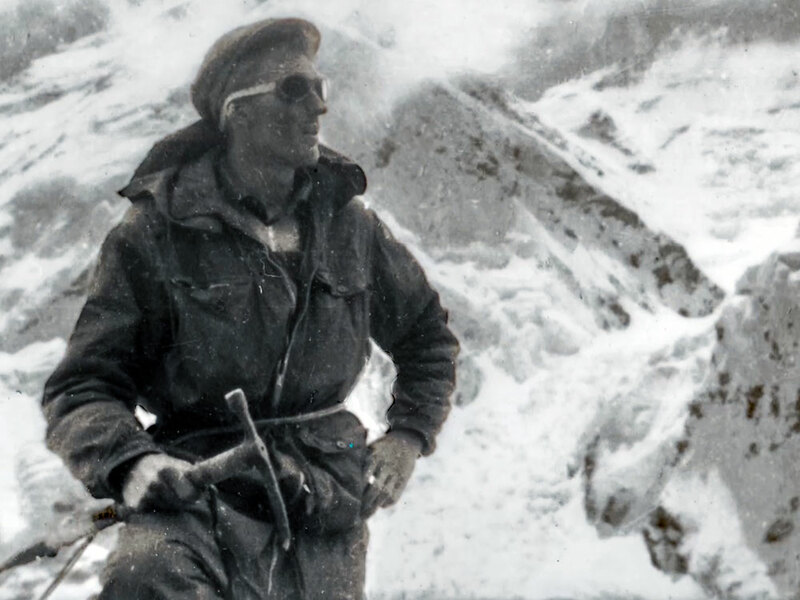 He attempted Everest in 1953 with his friend Johnny Cunningham, and almost stole the peak before Hillary and Tenzing. As an explorer, expedition leader and engineer he achieved world fame. As inventor of the all metal ice axe, author of the International Mountain Rescue Handbook and founder of Glencoe Mountain Rescue he has been responsible for saving hundreds of lives, if not thousands. But at the age of 84, his accomplishments could not save him from being institutionalised against his will, suffering from delirium. After a spell in psychogeriatric detainment in a hospital in the Highlands of Scotland – during which he made many escape attempts – he emerged to find his memory gone. This film tells the story of MacInnes’ life by mirroring his greatest challenge: to recover his memories and rescue himself.